There are many important factors to consider if you are comparing sprinkler companies and the kinds of systems they install. Here are some of the most important questions to ask if you are considering more than one company. How will the Backflow Preventer be installed? PVC is one of the most common kinds of pipe used in sprinkler systems today. And while it is a good choice, copper is a better one. We use copper everywhere it is appropriate to help extend the life and durability of your system. Over time, PVC often becomes brittle which means it will break or crack fairly easily if it’s hit by a shovel for example. When copper pipe is used, this problem is significantly reduced. What kind of manifold will be used? At My Sprinkler Guys, we use an expandable manifold system that allows sections to be added, removed or repaired by simply screwing them on or off. Many other contractors use glue to join pieces of PVC, which means any fixes or updates will involve cutting out and re-gluing which is more time consuming and more costly in the long run. Will all outdoor wiring be heavy duty and protected? There are many small details that are important to keeping your system functioning well and minimizing maintenance issues. For example, outdoor wire splices should be water tight as well as enclosed in a heavy duty valve box. The attention to detail (or not) is another way to determine which company is the best one to hire. How will the sprinkler heads be connected underground? It is very common for irrigation companies to run the zone line underground, place a tee insert into this line where the heads are installed, and then add a riser to get the head to the correct height. The problem with this type of installation is the riser can split when hit with a bike tire or piece of lawn equipment. A better way to install the head is to use a flexible piece of tubing from the main pipe to the head. This allows the head to move and flex slightly which makes less stress on the fittings, reduces repairs and increases the life of the system. Will all sprinkler heads point away from the house? This may sound obvious, but some contractors will not set them up this way which means water will repeatedly spray the side of your home. Some may suggest it will save you money because they are creating fewer zones by configuring them like this. However, in the long run, the repeated water spray can damage the side of your home as well as your foundation. Are both companies installing the same number of zones? If not, why not? We realize many people are looking for ways to cut costs when purchasing a sprinkler system. However, installing fewer zones than you really need can actually increase your costs in the long term. For example, without the right amount of zones it’s likely some spots will be missed. Your system will also be less efficient because it’s covering more area than it is intended to handle and that can mean higher water bills. Fewer zones require a smaller box, which will cost less. However, if there is a need to add a zone later, both the manifold and the control box would need to be upgraded along with running the new line. What might look like a $400 savings at first, could end up costing $800 to add to a system that could have been more efficient in the first place. One more consideration to make when comparing zones and overall cost is how flowerbeds and gardens will be covered. A drip system will often be more efficient and use less water, but it may cost slightly more initially. Will the sprinklers near concrete be placed far enough away to allow room for a lawn edger or snow blower? One of the most common ways to damage sprinkler heads is to run them over with lawn equipment. This can be partially avoided by installing heads far enough from the edge of driveways and sidewalks so that they aren’t hit by snow blowers and edgers. Unfortunately, not all contractors will consider all of these factors when designing your system. At my Sprinkler Guys, we cover all this and more because we want your sprinkler system to be as efficient as possible and to last for many years to come. 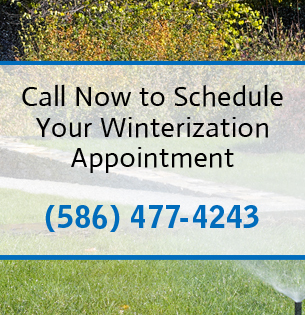 If you have more questions about sprinkler systems or if you would like a quote, please contact us at 586-477-4243.